By default, Macs remembering every wireless network you ever join, whether it’s six months ago or 17 minutes earlier. This is usually no problem, except sometimes you can get into a situation where it detects one network faster than another and without asking you automatically connects to the wrong 802.11 net. 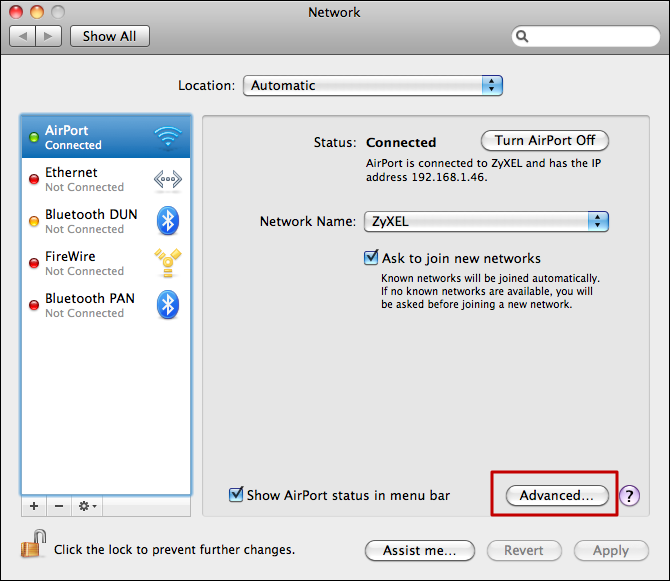 There are two ways to fix this problem, both of which are done at the very same spot in the Mac OS X system: System Preferences –> Network –> Airport. 2. 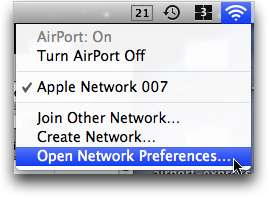 On the Network page, select the AirPort connection, then click on the Advanced… button. 4. The Click on Apply in the Network window. 5. 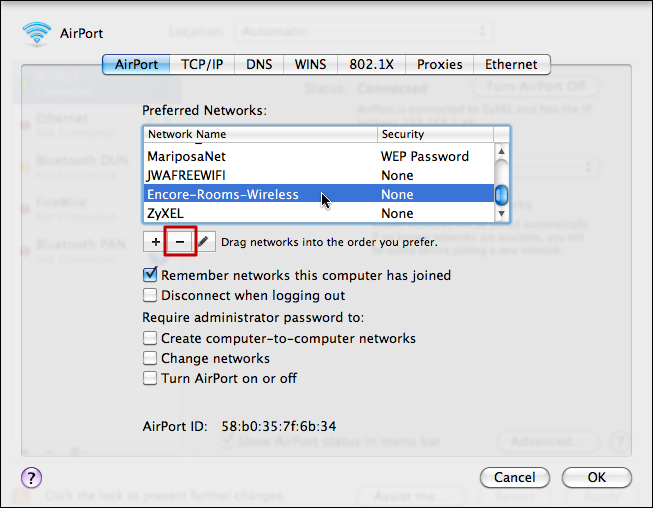 Then re-select the networks SSID from the list of available wireless networks from the Wireless Symbol dropdown menu. 6. Entre the password and all should be done. If you want to tweak things so that one network is selected in preference to another when both are present, you can simply click and drag the names of the networks to the order you prefer. For example, you might want to have your home network the top priority so that if it’s ever around, you’re connected instantly.